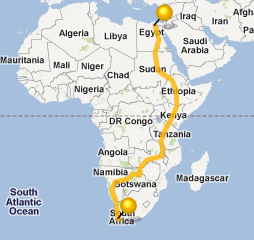 My last blog was about my bike trip from Cairo to Cape Town – 11, 700 kms. It’s hard for me to imagine it was nearly 4 years ago I set off on that journey. 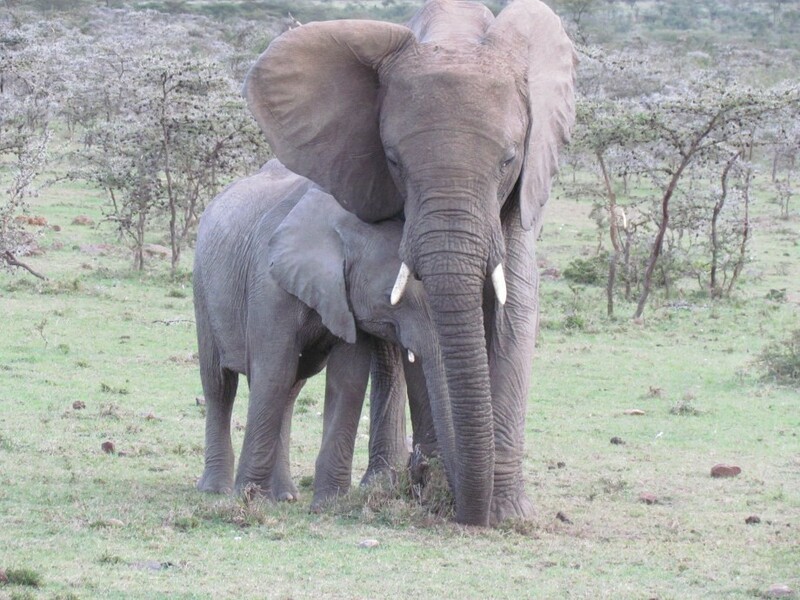 This time, my trip starts on February 1 in Nairobi, Kenya, and I’ll be walking 100 Miles for Elephants. We’ll be averaging about 10 miles (16 kms) per day, and will finish in Loisaba on February 9. I, along with 6 others, will be walking with a camel caravan across the vast savannah. We’ll be accompanied by guides from the Samburu tribe, who will lead us through their traditional lands, where livestock mingle peacefully with herds of giraffes, antelopes, the endangered Grevy’s zebra and elephants. This is truly the way people and animals are meant to co-exist – in complete harmony with the rhythm of nature. The African skies are magical, and one of the highlights for me will be the nights, camping under African skies, which will be saturated with stars, listening to the gentle sounds of nocturnal animals, and then waking to the sounds of the African morning. There is something special about African mornings, too – it is a cacophony of sound as everything comes to life all at once to greet the day. We’ll make our way toward the Kirisia Hills, and enter the mountain forest where Hidden Places is funding a community anti–poaching project. This is an enchanted place, a sanctuary for elephants, Cape buffalo, leopards and other megafauna, and is rarely visited by outsiders. I’ll be incredibly lucky and blessed to meet elders of the Kirisia Community Forest Association and will have an opportunity to learn first hand how my fundraising will help them to save elephants in this pristine habitat. 10 countries. 120 days. 11,760 kms. What better way to see Africa than on a bike? I’ve been thinking of/ dreaming about this trip for quite a few years now. It was always something to do “someday.” Well, someday will soon be here! This is going to be the adventure of a lifetime! I’m excited to get going & can’t wait to get started!